I have a confession, friends... I actually enjoy grocery shopping. It isn't because I love playing bumper carts with strangers in the produce department or because I like the sound of my husband's voice as he asks me for the hundredth time if I'm close to being done. I love it because I have a plan. I'm able to get in and out quickly, find the items I need quickly, and my favorite part? I only go ONCE A WEEK. Today I'm sharing some easy tips and tricks that I've found helpful for planning out our meals each week. I have a feeling that you'll walk away feeling a little more excited to conquer that less-than-thrilling trip to the grocery store. 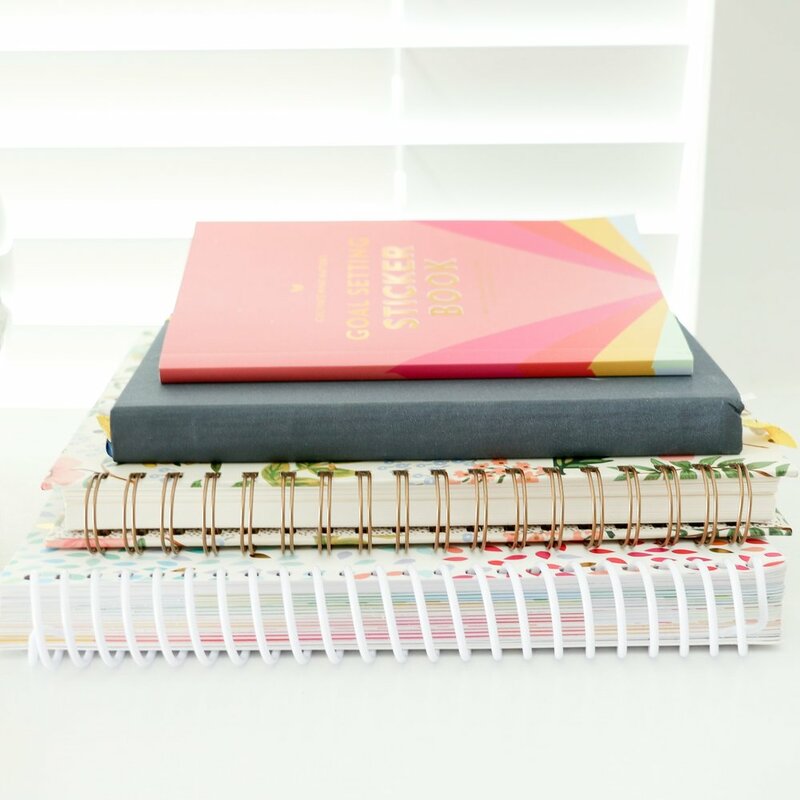 On the weekend, I sit down with my Daybook Planner and prep for the upcoming week. 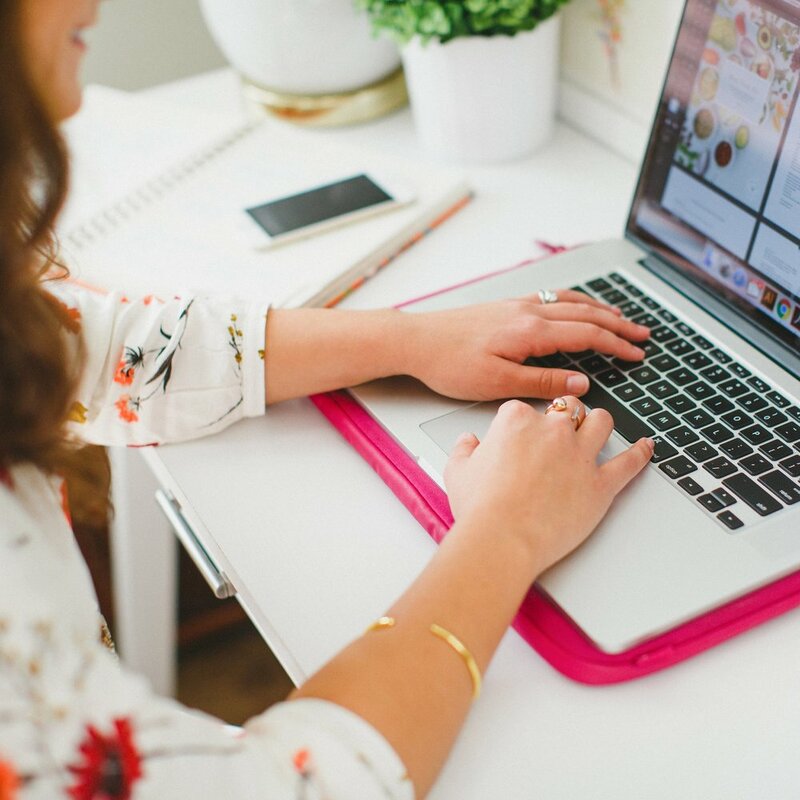 I fill in my appointments, commitments, blog posts, and to-do's, and I use the space at the bottom of each page to plan out our weeknight meals. Some weeks don't always go according to plan, but I've found it really helpful to have a menu as a reference when I go to make my grocery list. And when my husband inevitably asks me what's for dinner, I always have an answer at the ready. I like to get all of my grocery shopping done in one trip on the weekend before the craziness of Monday sets in. Nothing is more frustrating than battling the 5 o'clock market crowd after work on a weekday; hungry and tired is a good recipe for a bad mood. Getting all of the grocery shopping done on Saturday means one less task on my to-do list and a little more peace of mind during a hectic work week. Before I head out for the grocery store on Saturday, I sit down with my Daybook Planner and an Elle & Company Menu Planner sheet. The Menu Planner has 4 sections at the top (Breakfast, Lunch, Dinner & Other) and each section has 7 spaces, one for each day of the week. Coming up with multiple meal options ensures that no one is scrambling last minute to find something to throw together for breakfast or lunch, and no meal gets overlooked. I also use this time to think through creative ways to use items that I already have in our pantry, refrigerator, and freezer. Make a list as you go. My favorite feature of the Menu Planner is the ability to outline our weekly meals and create my grocery list all on one page. As I write down a meal idea, I go ahead and list the ingredients I need to buy in the section below. Since I started using these sheets, I rarely forget ingredients anymore, which means less frustration and fewer trips back and forth to Harris Teeter (insert Hallelujah chorus here). Section off your grocery list. Categorizing my grocery list is the key to getting in and out of the store quickly. The different sections for dairy, produce, pantry, etc. help me remember the items I need in each aisle and keep me from trekking across the entire store because I forgot the milk... again. The benefits of planning ahead don't end with an easy trip to the grocery store. Menu planning is the gift that keeps on giving. It saves me time. I always have ingredients on hand to cook a meal from my planned menu. I don't have to make a quick trip to the grocery store for a missing ingredient or scramble around trying to figure out what to make for dinner. All of the work has already been done! It saves me money. Because my weekly meals are planned out, I know exactly which ingredients I need to buy at the grocery store. Sticking to my list helps me cut down on impulse buys and saves me money on groceries. Plus, no more emergency grocery store trips = less driving = less gas = less money. It promotes healthy eating. When I sit down to plan out our meals, I'm much more intentional in coming up with healthy choices. And because I've already come up with ideas for each meal, I don't have to run through a drive-thru or skip meals. It cuts back on waste. When I stick to my grocery list, I don't buy anything I don't need for our planned meals; each item in my cart will be used in a meal that I know we will be eating. This means I won't be overspending on groceries or throwing out food. Guess what, friends? Trips to the grocery store can be less frequent and more enjoyable for you, too! All it takes is a little preparation and the help of Elle & Company's Menu Planner.